There are six community pastures located across northern Ontario. Partnerships between organizations and the provincial government were instrumental in the formation of the pastures. In the early 2000’s the Association of Community Pastures (ACP) was created and they subsequently ownership of some of these pastures. The pastures are available for farmers to rent for the summer, allowing them to increase their herd by providing extra grazing opportunities. Community pastures are also used as sites for research and information workshops. Since the first community pasture was established in the early 1960’s, they have come to provide a source of economic benefit to the communities where they are located. To see what kind of overall benefit community pastures have for the northern Ontario, data was collected for all six of the pastures in 2016. Charges for using the pasture is done in one of two ways; either a flat rate per animal/animal pairs for the season, or a per-day rate. Table 1 shows the number of animals at each location and the rental rates charged in 2016. It is clear that there is consistent positive revenue being generated by the northern community pastures. Overall the pastures benefit communities by providing jobs and allowing farmers an opportunity to increase the livestock they raise and subsequently increase their revenues. 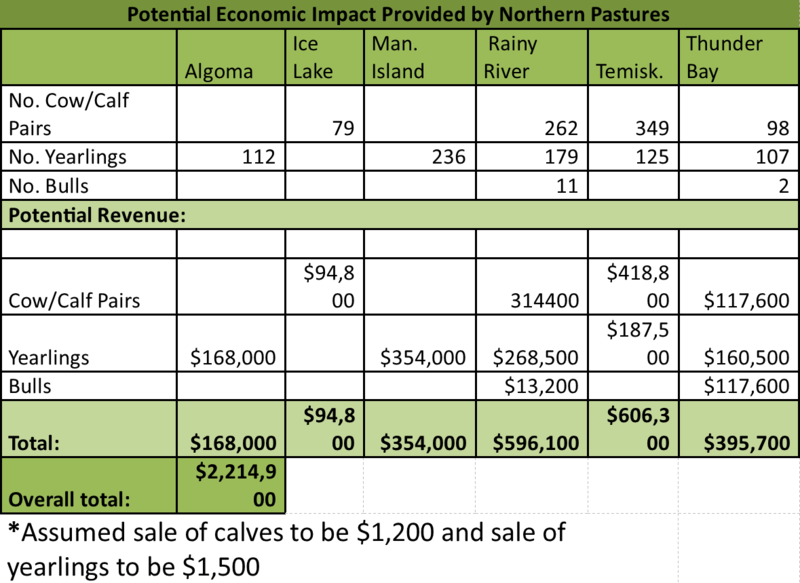 Table 2 highlights the overall financial impact of the community pastures in 2016 (based on the assumption that the sale of Cow/Calf pairs and bulls to be $1200 and sale of yearlings to be $1500), which also generates jobs, and benefits the local economy. In summary, community pastures demonstrate economic benefits by contributing to local research, and positively impacting the economy though the generation of profit from hosting the cattle on pasture, generating jobs, and increasing a farmers revenue opportunities. Generating more than $5.2 billion in direct sales annually (not including value added or further processing), the livestock industry is an important contributor to the strength of Ontario’s economy. One of the challenges with raising livestock in rural and remote areas is predation by wildlife. The Ontario Wildlife Damage Compensation Program compensates producers for livestock losses incurred as a result of predation. Municipalities appoint Livestock Valuers to inspect and prepare a report on any livestock losses from wildlife. In unincorporated areas of Ontario, the Ontario Ministry of Agriculture, Food and Rural Affairs Agriculture Development Advisors do this. Need Help to Start, Manage or Grow a Food Business? Need Help to Start, Manage or Grow a Food Business? If so, the Ministry of Agriculture, Food and Rural Affairs (OMAFRA) offers many resources to individuals and businesses starting or growing a food processing business. The Ontario Ministry of Agriculture, Food and Rural Affairs (OMAFRA) is leading the development of the Northern Ontario Agriculture, Aquaculture and Food Processing sector strategy. OMAFRA needs input from a broad array of producers, organizations and communities to create an effective strategy which will guide long term decision-making and investment planning in Northern Ontario. The discussion paper is a first step in the development of this strategy. We look forward to having a dialogue on the questions presented in the discussion paper and other comments and ideas that may arise. Interested parties may provide input into the development of the Strategy in a number of ways. To obtain an electronic version of this discussion paper, please go to OMAFRA’s website. Written comments must be submitted by July 3, 2016. OMAFRA will provide participants with overall summaries of both consultations and submitted written comments by the public. Your input towards the Northern Ontario Agriculture, Aquaculture and Food Processing sector strategy will positively impact the economic viability and advancement of Northern Ontario and the province as a whole. In an age of patented crop varieties and technology use agreements, how does one put a value on the economic impact of a small, independent research station? Driven by a belief that location specific research is important to the sustainability and advancement of the local and regional agricultural and agri related industries, the Thunder Bay Agricultural Research Association has been managing the Thunder Bay Agricultural Research Station (TBARS) since 2003. With its small plot work, TBARS seeks to improve the economics of local agriculture through crop diversification and improved soil and crop management adapted to the local environment. Building on relationships with researchers and suppliers in western Canada, eastern Canada and internationally, TBARS takes the risks to demonstrate what the possibilities could be for producers in the region. The detailed Annual Reports that are produced are sought after in many other jurisdictions.